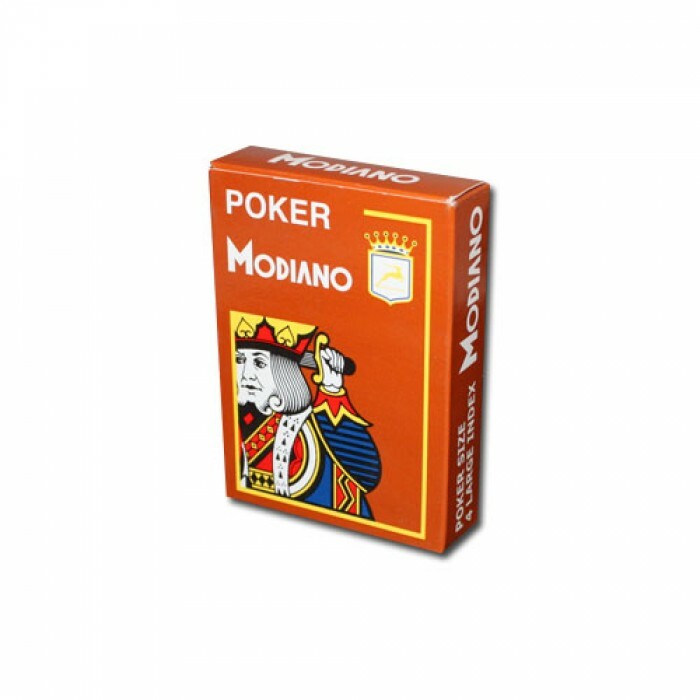 Modiano Cristallo 4 PIP Jumbo is currently available in poker size. This deck has brown backs. 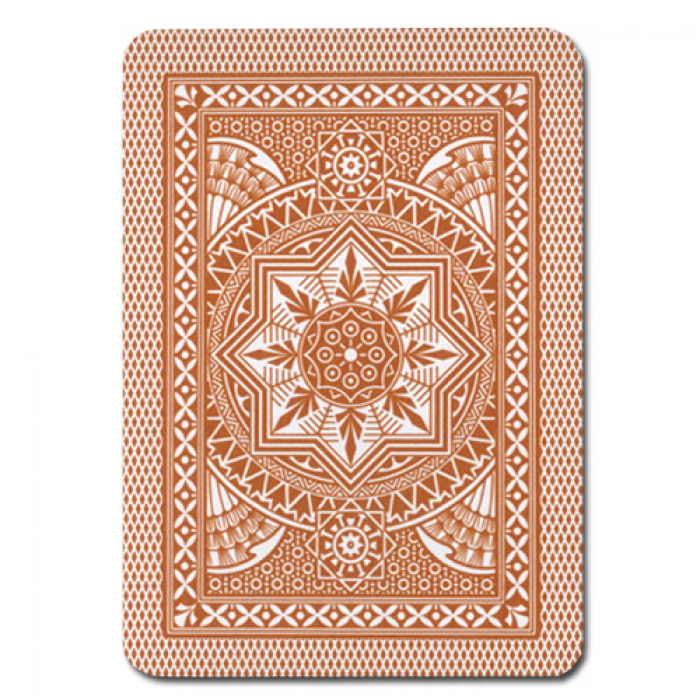 The poker designation only refers to the size of the card. A poker card is 3.5 inches tall by 2.50 inches wide. It is also commonly known as wide size. This set is a Jumbo 4 PIP index. The jumbo 4 PIP index refers to the number of pips (the letter or/and number in the corner of the card). A jumbo 4 PIP indexed card has larger pips but a smaller picture in the middle than a regular index. 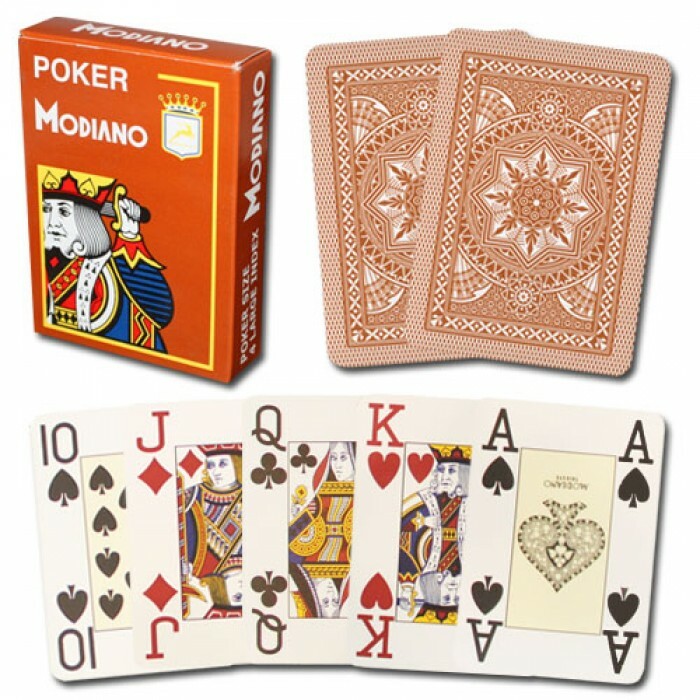 A jumbo 4 PIP index set is popular in the game of Texas Hold‚Äôem, since the multiple smaller pips allow players to view their hole cards more efficiently.